Camden has the second highest cancer rate in New Jersey, and the eighth highest in the nation thanks to over 100 toxic waste sites. When the St. Lawrence Cement Company tried to build yet another polluting factory in Camden, citizens banded together and convinced a district court to halt construction. Then the Supreme Court ruled in Alexander v Sandoval that citizens could not sue based on discriminatory effect. In order to block the construction of yet another polluter, citizens would need to show that there was intentional discrimination. This clip is part of a video made by award-winning documentarian Stanley Nelson, which exposes the negative consequences of a federal judiciary that is increasingly opposed to civil rights protections. Mr. Nelson puts a human face on what has come to be known as the “rollback” of civil rights. Writer Rachel Carson’s feared “silent spring” — the nightmare scenario in which widespread chemical spraying wipes out insects and the birds that feed on them —has not happened. But the world today faces no shortage of environmental challenges that demand the sort of intense energy and activism that she embodied. 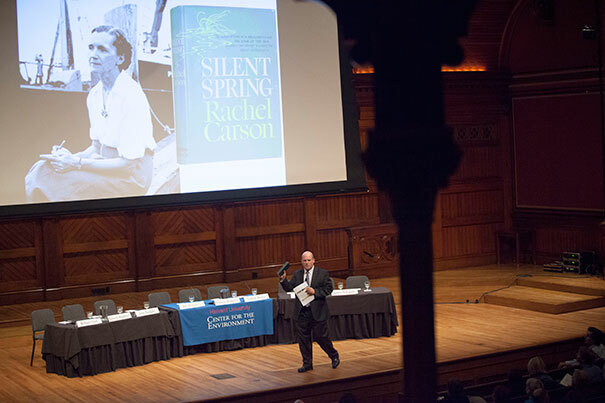 That was the message of a panel of experts, writers, and activists Thursday at Harvard’s Sanders Theatre to mark the 50th anniversary of the publication of Carson’s seminal book that chronicled the environmental harm wrought by pesticides and warned against their overuse. The publication of “Silent Spring” often has been credited with galvanizing a generation into action against environmental degradation, with sparking the start of the modern environmental movement, and with leading to a ban of the pesticide DDT in 1972. “Science and Advocacy: The Legacy of Silent Spring” was sponsored by the Center for the Environment and featured New York Times columnist Andrew Revkin, Natural Resources Defense Council President Frances Beinecke, and writer and activist Bill McKibben. It also featured several Harvard faculty members, including William Clark, the Brooks Professor of International Science, Public Policy and Human Development at the Harvard Kennedy School (HKS); Rebecca Henderson, McArthur University Professor; Sheila Jasanoff, Pforzheimer Professor of Science and Technology Studies at HKS; James McCarthy, Alexander Agassiz Professor of Biological Oceanography in the Faculty of Arts and Sciences (FAS); and John Spengler, the Akira Yamaguchi Professor of Environmental Health and Human Habitation in the Harvard School of Public Health (HSPH). Schrag, the Sturgis Hooper Professor of Geology and professor of environmental science and engineering, opened the event by reading passages from the book, in which Carson warned that humanity’s drive to subdue nature was bearing unintended consequences that threatened humanity itself. Panelists said that Carson’s power came from a combination of factors. As a biologist, the science that she presented in the book was solid. And as a writer, her prose presented the situation in a way that was not only accessible to readers but also moved them to action. 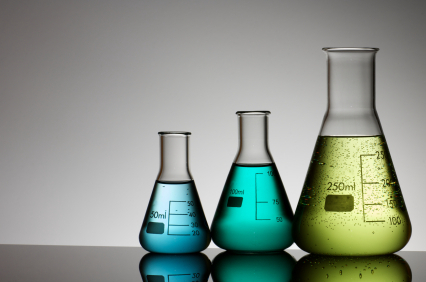 Revkin, who has written about the environment for decades, said what struck him in reviewing the book was her treatment of uncertainty, a key element in any scientific debate. 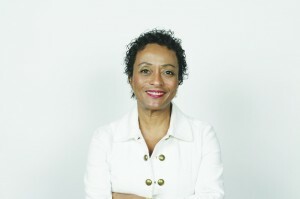 Carson was frank with readers about what experts knew and what they didn’t know, Revkin said, showing her readers respect and trusting that they could handle uncertainty. She let them make up their own minds, something missing from many discussions of science today, which tend toward black and white. “She was able in this book to allow the reader to have authority to worry. She wasn’t telling them to worry,” Revkin said. Revkin also highlighted the opposition that the book generated, and that continues today. Some critics suggest that the reduced use of DDT and other pesticides cost human lives, particularly in the fight against malaria. Panelists also discussed the tension that scientists feel between the pressure to remain objective and the public’s need for informed leaders, like Carson, to push for science-based reform. McKibben, who authored 1989’s “The End of Nature,” the first book on climate change written for a general audience, said Carson’s impact extended beyond her book. Though riddled with cancer, which would lead to her death just two years after the book’s publication, Carson remained a vocal advocate of the ideas laid out in it. McKibben said that people have different identities, at work and outside of it. One identity is that of a citizen, and it is in that role that people should work for change, even if advocacy may seem contrary to other roles. At Harvard, McKibben said, the University’s efforts to erect green buildings doesn’t go far enough in fighting climate change, and he voiced support for efforts to have the endowment divest oil company stock. Clark said that prominent scientists sometimes fail to examine whether they’re living in ways consistent with the sustainability value that they espouse — flying around the world on carbon dioxide-spewing aircraft to give speeches when other alternatives exist. He cautioned that scientists and others supporting sustainability — even a noted climate change champion like former Vice President Al Gore, whose energy-gobbling home generated accusations of hypocrisy — can suffer when they don’t live according to stated beliefs. 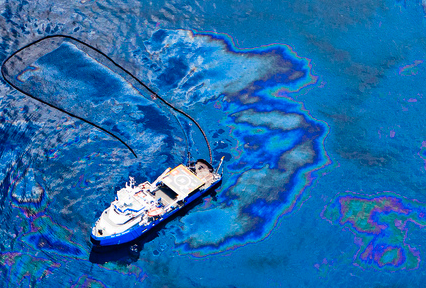 “I think we let ourselves off the hook too easily,” Clark said. Some panelists talked about the personal impact of Carson’s writings. McCarthy said Carson’s earlier book on the ocean, “The Sea Around Us,” was also eloquently written and widely read by a generation of oceanographers, including him. Spengler detailed how the echoes of Carson’s writing reached him in recent years, reminding him of a long-ago day at play in fields overflown by a biplane that sprayed him and his companions. Recent blood tests, he said, showed that the derivatives of DDT sprayed that day remain in his body. Despite the unquestioned impact of “Silent Spring,” some of its lessons appear to need reteaching. 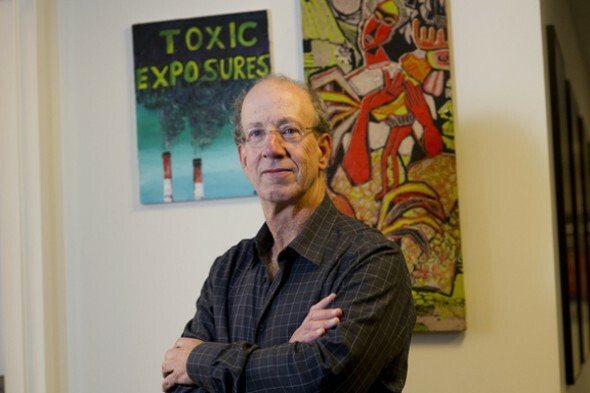 A few years ago, Spengler studied the high incidence of asthma in Boston public housing, tracing it to high levels of pesticides sprayed in the buildings. His work prompted adoption of integrated pest management techniques in the buildings and highlighted the importance of continued vigilance. Though Carson came under intense attack from the chemical and agricultural industries and their supporters, she never wavered, Beinecke said. If she were alive today and saw the thousands of chemicals, some unregulated, that surround us and viewed the dangers of climate change, she’d likely focus her advocacy there. “Would she be distressed?” Beinecke asked. “I’m sure she’d share the distress we all have, but I think she’d be motivated’’ to act. Image by Kris Snibbe/Harvard Staff Photographer. William Souder’s 2004 autobiography of John James Audobon, Under a Wild Sky, was a finalist for the Pulitzer Prize. 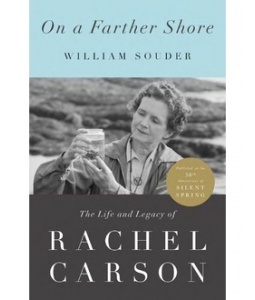 His newest book, On a Farther Shore, chronicles the life and times of Rachel Carson, author of the controversial book Silent Spring — a tome that many consider to be the Bible of the environmental movement. Souder discuses why Carson is such an inspiration, how Silent Spring might be received if it were to be released today and why it’s important to read biographies of notable figures in science. Q: What inspired you to write Rachel Carson’s biography? William Souder: My interests are diverse, but I write mainly about science, history, and the environment. A really vexing question is why we have this divisive, intensely partisan disagreement over environmental issues. Why should the left and the right feel differently about the environment we all share? I knew Rachel Carson had been at the forefront of the modern environmental movement—it can be argued she was its founder—and so I thought there might be answers to how we got to where we are on the environment that were embedded in her story. And that turned out to be true. The language and the shape of the continuing environmental debate were formed in the response to Carson’s 1962 book, Silent Spring. Now that book is about the collateral damage caused to the environment by the indiscriminate use of pesticides like DDT. But you could substitute climate change for pesticides and the case would be argued out the same way—now as it was a half century ago. On one side you have the interests of industry and its allies in government and on the political right that resists the regulation of economic activity. On the other you have science and the voices that speak for a reasonable preservation of the natural world. That seems like a simple confrontation between greed and morality, but it’s more complicated than that. The critics of Silent Spring attacked the book by claiming it was hysterical and one-sided—but more importantly that it was un-American, an attempt to strangle the free enterprise that was our advantage over the Soviet Union and the eastern bloc. To its detractors, Silent Spring wasn’t science. It was ideology. The irony, of course, is that it’s the reverse. I should add that, as a practical matter, Rachel Carson is a terrific subject—and you cannot hope for more as a writer. She lived a consequential life that peaked just before her death from breast cancer in 1964. And she left an enormous legacy that includes the creation of the EPA and a motivated—if insufficiently effective—environmental movement. She also left behind the kind of vast paper trail of correspondence that is gold to a biographer. Q: As you did your research, what most surprised you about her? William Souder: I think most readers of my book are going to be shocked by the extent of atmospheric nuclear testing that took place during the Cold War of the 1950s and 1960s—and surprised at how the roots of the environmental movement can be found in the chilly voids of the Cold War. All-in, more than 500 nuclear devices were exploded in the atmosphere between 1945 and 1963, when most of the nuclear powers agreed to halt above-ground testing. The United States accounted for more than 200 of these tests—including ten in June of 1962, or one about every three days. That was the same month Silent Spring—in which Carson argued that pesticides and radiation were parallel threats to the environment—was serialized in the New Yorker magazine. I knew Carson had argued a connection between pesticides and radiation, but I didn’t realize how important it was until I closely re-read Silent Spring as a commentary not just on pesticides, but on American sensibilities in the Cold War. When you read the short, bleak opening chapter of Silent Spring—it’s one of the great set-pieces in American literature—it’s easy to see that gray, lifeless town, where no birds sing, where farm animals sicken and die, and where a pale residue lies in the gutters and on the rooftops as the result of either pesticides or the fallout from a nuclear apocalypse. And in that lifeless, colorless void was also the shadow of an existence Americans imagined inside the Soviet Union—the cold hardness of totalitarianism that was our darkest fear. It’s no accident that baby boomers became the vanguard of the environmental movement. They came of age with such images and terrors. When they read Silent Spring, they got it. Q: Do you think the reception of Silent Spring would have been different today? Why or why not? William Souder: It’s hard to imagine the same circumstances today because so much has changed that would reshape the response to this kind of work. Rachel Carson was one of the most famous and beloved authors in America when she published Silent Spring, and it was a startling departure from her earlier works, which were lyrical, moving portraits of the sea. But her credibility was enormous, as was her audience. That was a world still dominated by print—by many newspapers and magazines that no longer exist, but which back then devoted substantial space to covering the world of literature. I think books mattered then in a way that, sadly, they no longer do. And it has to be conceded that after years of a concerted attack on the media from the right, a significant portion of Americans don’t believe what they read or hear, regardless of how credible the source is. The fact is, we have seen the perils of climate change exhaustively reported on for years now. And the country is pretty much evenly divided on whether it’s a problem and so we’ve done next to nothing to address it. So, no, I don’t think Silent Spring would have the same impact today. In fact, I think it’s more influential for being half a century old and still relevant. NRDC’s Larry Levine describes the successful, decades-long battle to clean up General Electric’s toxic PCBs from the Hudson River and gets a tour of the cleanup project with EPA. Breast cancer has become the poster child of corporate cause-related marketing campaigns. Countless women and men walk, bike, climb and shop for the cure. Each year, millions of dollars are raised in the name of breast cancer, but where does this money go and what does it actually achieve? Pink Ribbons, Inc. is a feature documentary that shows how the devastating reality of breast cancer, which marketing experts have labeled a “dream cause,” becomes obfuscated by a shiny, pink story of success.